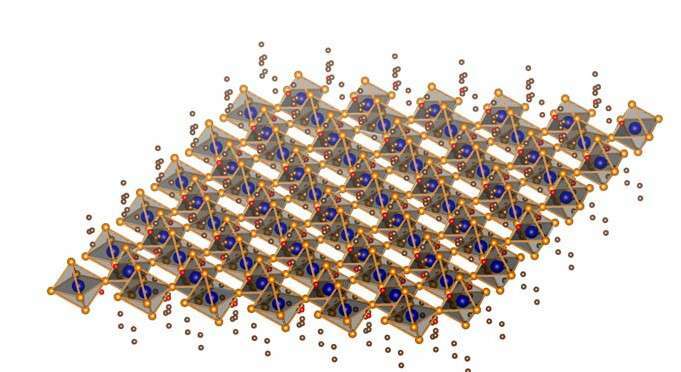 Researchers at the U.S. Department of Energy (DOE)'s Lawrence Berkeley National Laboratory (Berkeley Lab) have successfully grown atomically thin 2D sheets of organic-inorganic hybrid perovskites from solution. The ultrathin sheets are of high quality, large in area, and square-shaped. They also exhibited efficient photoluminescence, color-tunability, and a unique structural relaxation not found in covalent semiconductor sheets. "We believe this is the first example of 2D atomically thin nanostructures made from ionic materials," says Peidong Yang, a chemist with Berkeley Lab's Materials Sciences Division and world authority on nanostructures, who first came up with the idea for this research some 20 years ago. "The results of our study open up opportunities for fundamental research on the synthesis and characterization of atomically thin 2D hybrid perovskites and introduces a new family of 2D solution-processed semiconductors for nanoscale optoelectronic devices, such as field effect transistors and photodetectors." Structural illustration of a single layer of a 2D hybrid perovskite (C4H9NH3)2PbBr4), an ionic material with different properties than 2D covalent semiconductors. Yang, who also holds appointments with the University of California (UC) Berkeley and is a co-director of the Kavli Energy NanoScience Institute (Kavli-ENSI), is the corresponding author of a paper describing this research in the journal Science. The paper is titled "Atomically thin two-dimensional organic-inorganic hybrid perovskites." The lead authors are Letian Dou, Andrew Wong and Yi Yu, all members of Yang's research group. Other authors are Minliang Lai, Nikolay Kornienko, Samuel Eaton, Anthony Fu, Connor Bischak, Jie Ma, Tina Ding, Naomi Ginsberg, Lin-Wang Wang and Paul Alivisatos. In 1994, while a PhD student at Harvard University, Yang proposed a method for preparing 2D hybrid perovskite nanostructures and tuning their electronic properties but never acted upon it. This past year, while preparing to move his office, he came upon the proposal and passed it on to co-lead author Dou, a post-doctoral student in his research group. Dou, working mainly with the other lead authors Wong and Yu, used Yang's proposal to synthesize free-standing 2D sheets of CH3NH3PbI3, a hybrid perovskite made from a blend of lead, bromine, nitrogen, carbon and hydrogen atoms. "Unlike exfoliation and chemical vapor deposition methods, which normally produce relatively thick perovskite plates, we were able to grow uniform square-shaped 2D crystals on a flat substrate with high yield and excellent reproducibility," says Dou. "We characterized the structure and composition of individual 2D crystals using a variety of techniques and found they have a slightly shifted band-edge emission that could be attributed to structural relaxation. A preliminary photoluminescence study indicates a band-edge emission at 453 nanometers, which is red-shifted slightly as compared to bulk crystals. This suggests that color-tuning could be achieved in these 2D hybrid perovskites by changing sheet thickness as well as composition via the synthesis of related materials." "With our technique, vertical and lateral heterostructures can also be achieved," Yang says. 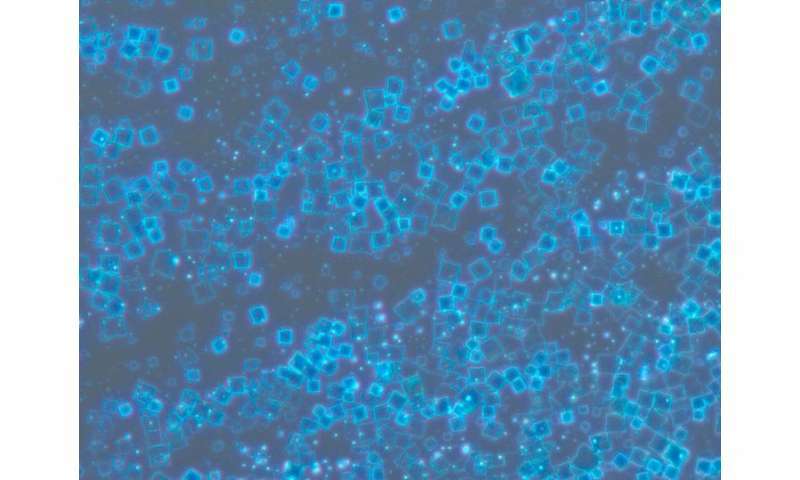 "This opens up new possibilities for the design of materials/devices on an atomic/molecular scale with distinctive new properties." Why are they too dumb to realise that this structure relates to the structures within materials that super-conduct?? Like flat-earthers, they want to believe that there must be pair-formation for super-conduction to occur. WRONG!! !